A versatile planting and weeding tool from Japan, the hori-hori has a thick polished stainless steel blade of 7¼", 18.5cm, marked with metric and imperial scales - handy for dropping seeds, bulbs, and seedling to the correct depth. It is sharpened on both sides and at the point, with one scalloped edge. 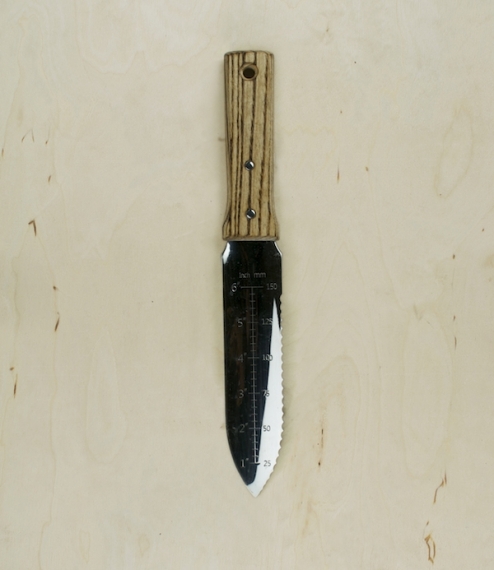 Historically used for the careful extraction of prized bonsai specimens in the mountains, these knives cope with the hardest, stony soils, and the sharpened edges can be used to cut or saw through the toughest of roots and stems. 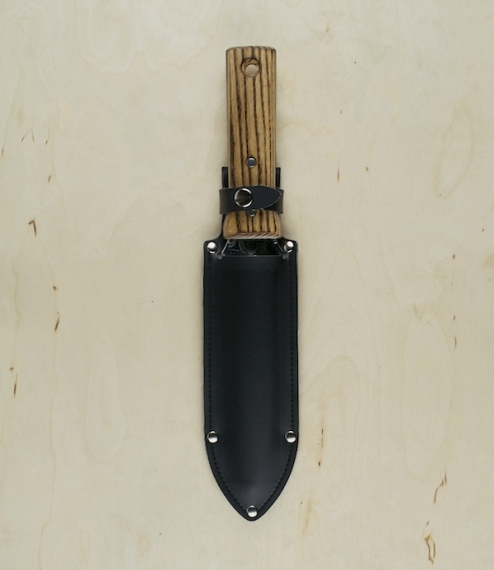 With a Japanese oak handle and supplied with a vinyl sheath.